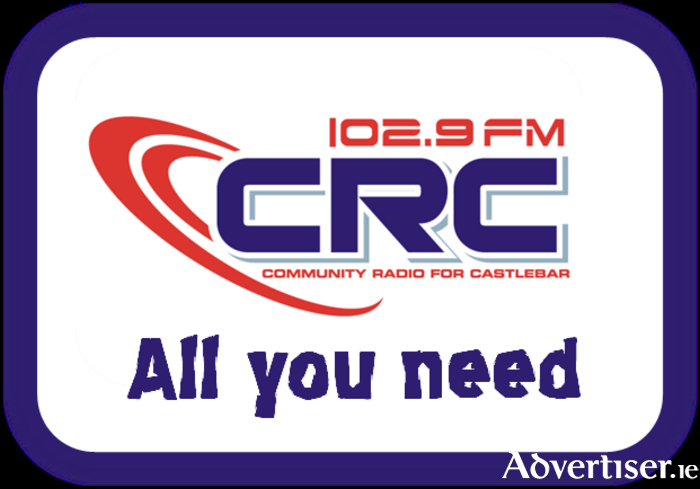 Community Radio in Castlebar will continue to broadcast for the next decade at least after CRC FM signed a new licence with the Broadcasting Authority of Ireland recently. At the end of May, Angela Faull (Presenter ), Mitch Commane (Director ) and Benen Tierney (Station Manager ) signed the new 10 year contract alongside other stations including Today FM and Spin South West. There was further good news for the station, and Angela Faull in particular, when her weekday programme The Chatroom collected a national award at the 2017 Craol Achievement Awards event in Ennistymon, Co. Clare, earlier this month. The Chatroom received a distinction award in the social benefit talk category. The programme is co-produced by Danny Coffey and presented every weekday by Angela Faull from 11am to 1pm and is very popular in the local community. In their remarks, the Craol adjudicators said "We cannot stress how we love hearing shows like this, they really highlight local issues, groups and events all of which are at the heart of community radio. The varied topics and formats used for this show ensures that it is fresh and entertaining."